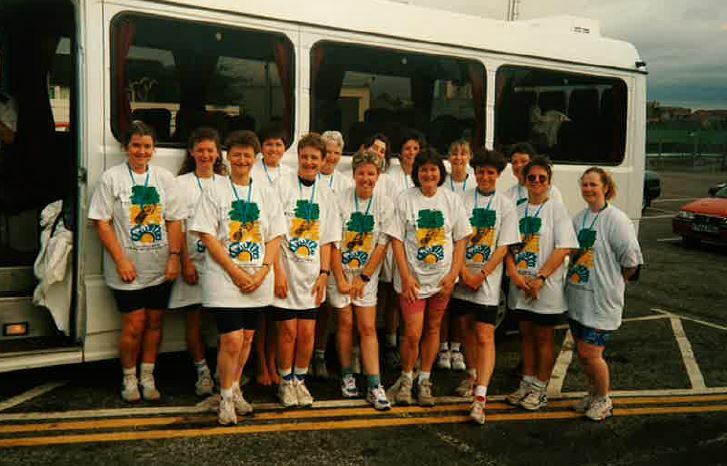 The Reebok Running Sisters was an all female national running network over the UK in the late 1980's, much like JogScotland is today. Aberdeen had a group which lasted only a few years and fell by the wayside. But in April 1993 three seasoned runners, with renewed vigour and enthusiasm, started a new club. We have one founder member still with the club today, Anne Jessiman. Along with two runners from our very first beginners course, Eleanor Carr and Lorna Findlay. 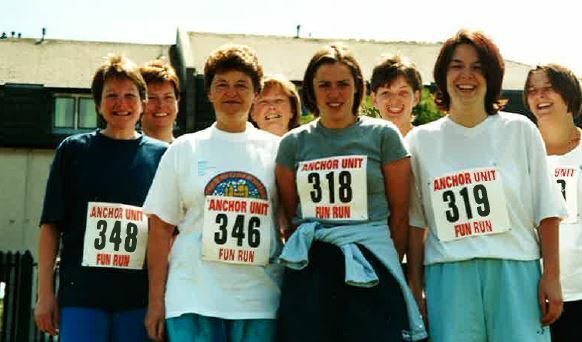 When Reebok stopped supporting the network, the groups seemed to die off in most parts of the UK but our group kept going changing the name to Aberdeen Running Sisters and kept our beginners courses going every year allowing women of all ages to start jogging for fitness, fun and friendship. We have had a vast number of women in the club over the last 20 years with a beginners course taking place every year. Some members just with us a short time, living in Aberdeen for only 2 or 3 years. Most of us in the club have at some time taken part in events ranging from 5K to marathon distance, including multi-events and triathlons. We have also diversified into walking over recent years with such challenges as the Edinburgh Moonwalk, climbing Ben Nevis, The Speyside Way and in 2013 walking The Great Glen. We hope we can carry on to offer inspiration to others who would like to take up running or who just need the company of others to motivate themselves to keep going and maybe reach their own personal running goal. 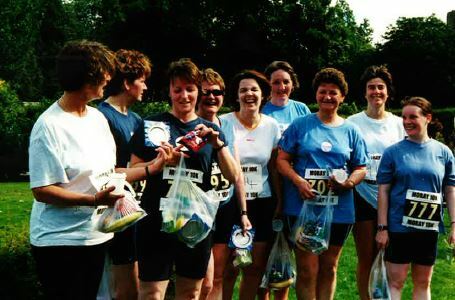 I joined the Running Sisters beginners group in 2010 after deciding to enter the Baker Hughes 10k having only ever went walking before. There were lots of others who had never ran before either [which I was pleased about]. I had tried on my own, but had little motivation. Anne started us off really gently mixing walking/jogging and it is amazing how doing it with others drives you to keep going. At the end of the 8 weeks we all ran 5k at the Beach with the help of the Running Sisters and each other and it felt ACE!! During the beginners group I managed to complete my first 10k using a mixture of running and walking and raised lots of money for CHAS. 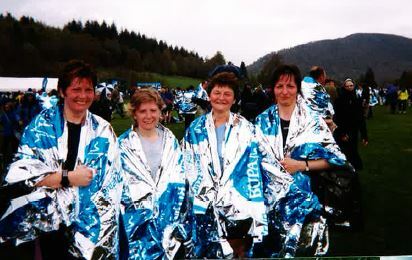 Since then I have ran the Elgin 10k another Baker Hughes and walked up Ben Nevis[raising over £400 for Roxburgh House] and most recently ran 5k in the Garioch Run all with others met through the Running Group. Last year I decided with help to run the Beginners Group which I loved and have decided to take the lead again for another year. 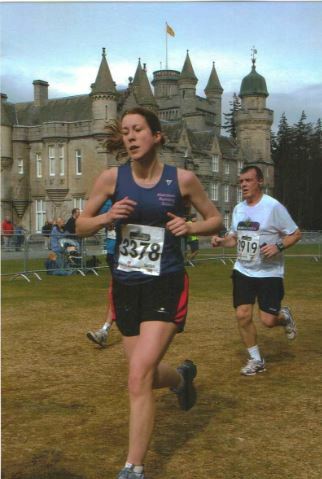 I decided to join the Aberdeen Running Sisters beginners group last year as I wanted to get fit and loose a bit of weight ahead of my wedding. After the first week of the beginners class, I still didn’t believe that at the end of the 8 week programme that I would manage to run 5K. However, roll on 8 weeks and my running ability had improved dramatically and although I missed the official 5K run at the end (due to holidays) I was able to run a lot further than I had ever ran before without having to stop and walk. The running group is a great way to get into running and also to ensure you keep going as it seems to be easier to keep going if everyone else is! All the running sisters are very supportive and encourage you to keep going despite your legs telling you something else…..